The NFL and Nike go all out this year with fresh new redesigns in uniforms. The new Color Rush Custom Screen Printed Uniforms and rolling out, but not everyone will get to wear them this year. 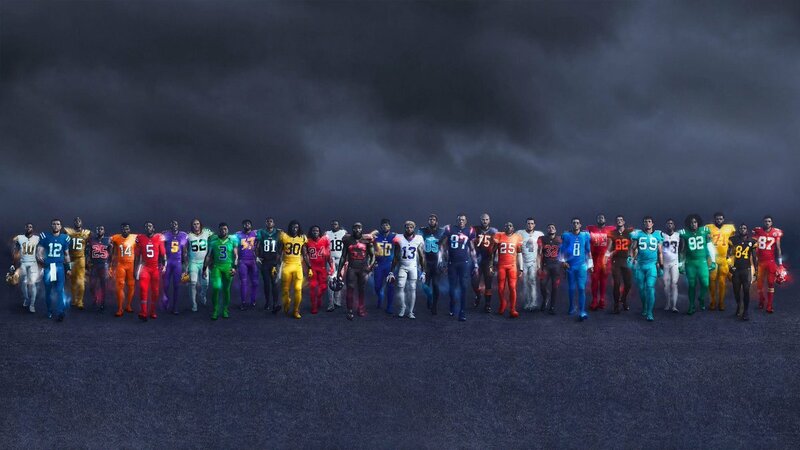 All 32 NFL team will get the new uniforms eventually. The Color Rush uniforms were designs by Nike and already have faced a few challenges. There are a couple teams that have conflicting colors and the Color Rush jerseys won’t be worn on Thanksgiving. Here are some photos of the new uniforms. These are just some of the NFL jerseys. Check out the NFLrt.com for more pictures.